Every year averagely 9-10 lakhs students applied for GATE entrance exam to secure the desired seat in IITs. Cut Off 2017: Gate 2016-17 exam was conducted by IIT Roorkee in which total 9,22,167 students participated while 7,87,148 students appeared in the final exam. In 2017 only 1,29,149 candidates were qualified. Cut Off 2016: Gate 2015-16 exam was conducted by IISc, Bangalore in which total 9,31,831 students participated while 8,18,850 students appeared in the final exam. In 2016 only 1,60,643 candidates were qualified. GATE 2018 is scheduled to be conducted by Indian Institute of Technology (IIT), Guwahati on 3-4 and 10- 11 February 2018. The online registration for GATE 2018 through GATE Online Application Processing System (GOAPS) has started from 1 September 2017 and will continue until 5 October 2017 (Closed Now). 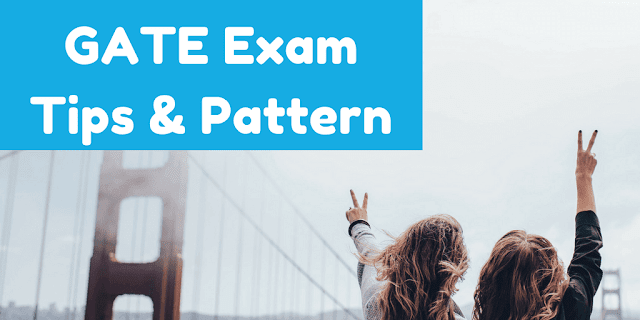 The exam mode of GATE 2018 would be the online i.e. computer-based test (CBT). GATE 2018 exam will be conducted for 23 subjects or papers. A candidate can appear in only one of the 23 papers. The subject or paper should be carefully selected by the candidate while registering online for GATE 2018. Multiple Choice Questions (MCQs) & Numerical Answer Type (NAT) Questions. For MCQs, there would be 4 choices, whereas for NAT type questions there would be no option provided. Candidates have to enter the real number in NAT Questions using the virtual keypad. For each wrong answer in MCQ, there will be negative marking. Each wrong 1-mark MCQ answer would result in a deduction of 1/3 mark. In the same manner, for each wrong answer to a 2-mark MCQ, 2/3 mark will be deducted. There would be no negative marking for a wrong answer to NAT (Numerical Answer Type) questions.